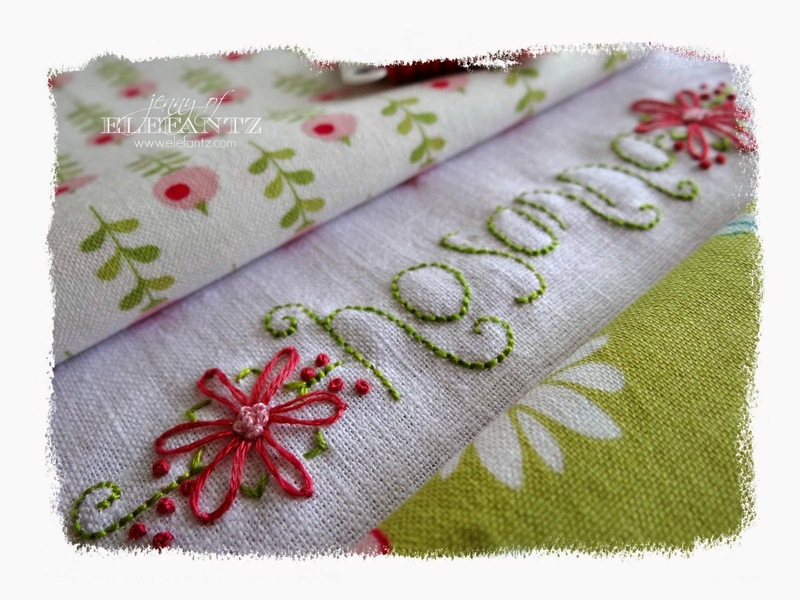 Jenny of ELEFANTZ: 'Jenny of Elefantz' STITCHERY CLUB! 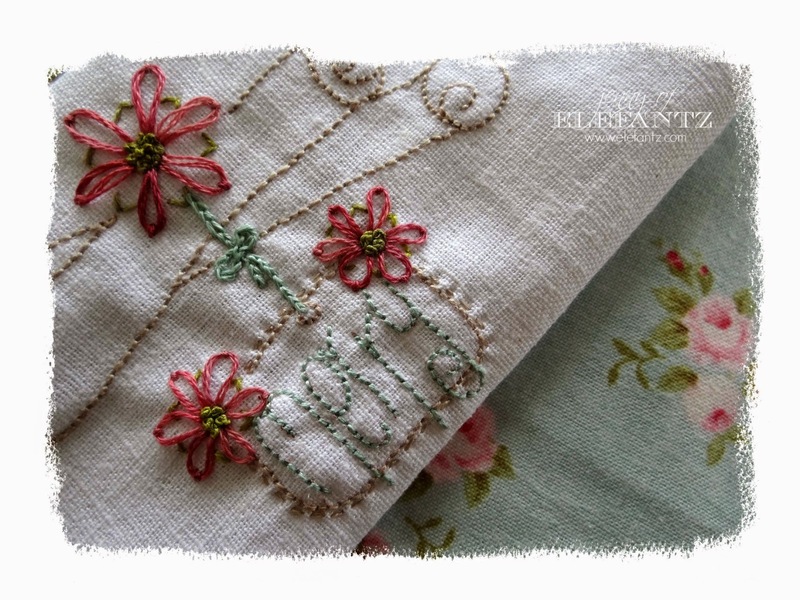 'Jenny of Elefantz' STITCHERY CLUB! 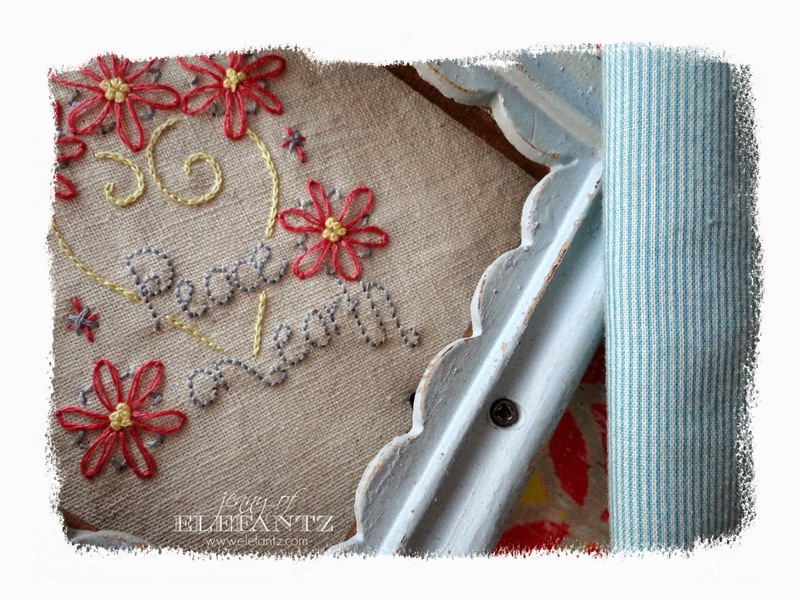 A lesson I've learned this year is to listen to my readers, those who love to stitch an Elefantz design, and what they'd like in the future. Last week we had a 5 day tutorial of teaching step by step from the very basics on how I personally put together a new project - start to finish. It was hugely successful and answered hundreds of requests from lovely readers who regularly email to ask "how?". That detailed set of tutorials addressed the number one desire that you, my readers, asked of me. 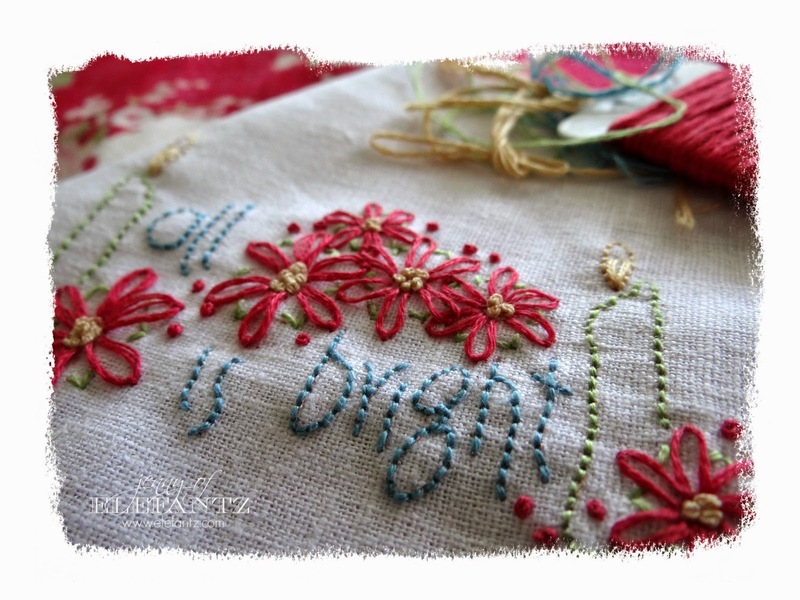 Now I'm addressing the second most common basket of requests - small stitcheries that can be used over and over, and in any number of projects! After prayer, discussing options with Mr E, and some quiet time to let my heart and mind find common ground to agree, the Jenny of Elefantz STITCHERY CLUB was planted in the soil of this designer's life. It's a subscription only CLUB, and those subscribed will receive a set of 6 new stitchery patterns every month via email. Every month with have a theme, for example: Christmas is month 1, and then there will be Vintage, Inspirations, Posies and more...I have a long list to work with! OOPS! Hang on...I've made one too many! 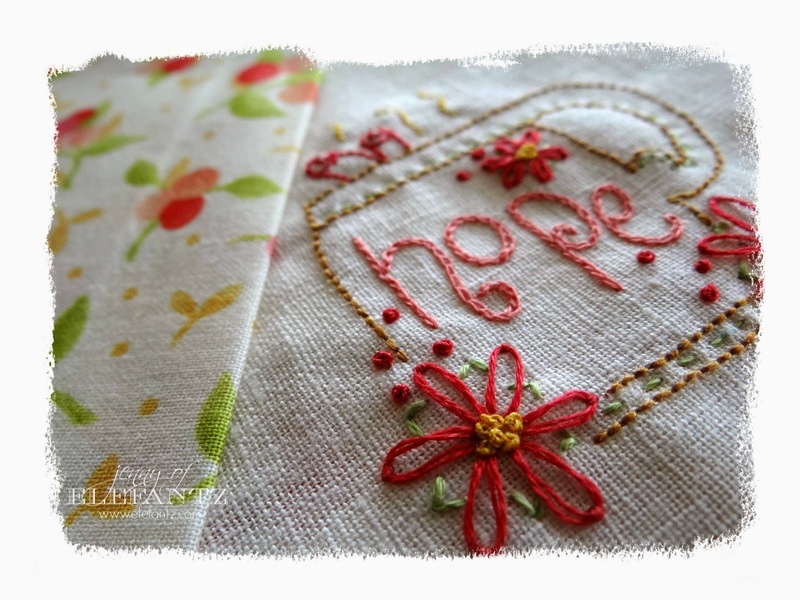 It looks as though we're really going to celebrate this very first month of the STITCHERY CLUB because my subscribers will now receive a bonus stitchery, so that's seven designs to embroider instead of six! 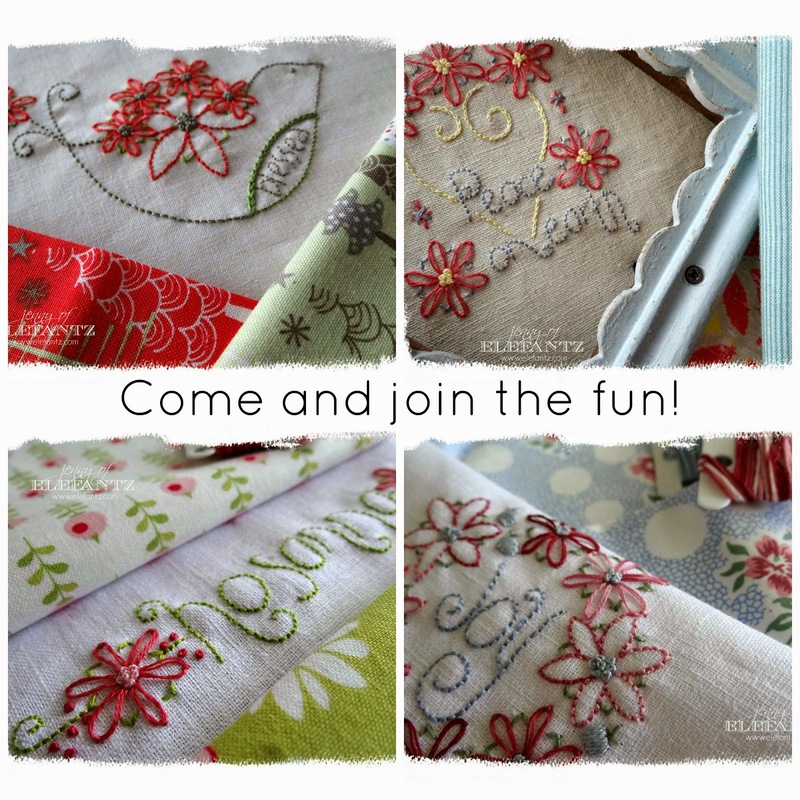 If you're interested in joining along you can read all about it HERE on the Stitchery Club's main page. You'll also find the "subscribe now" link on that page. 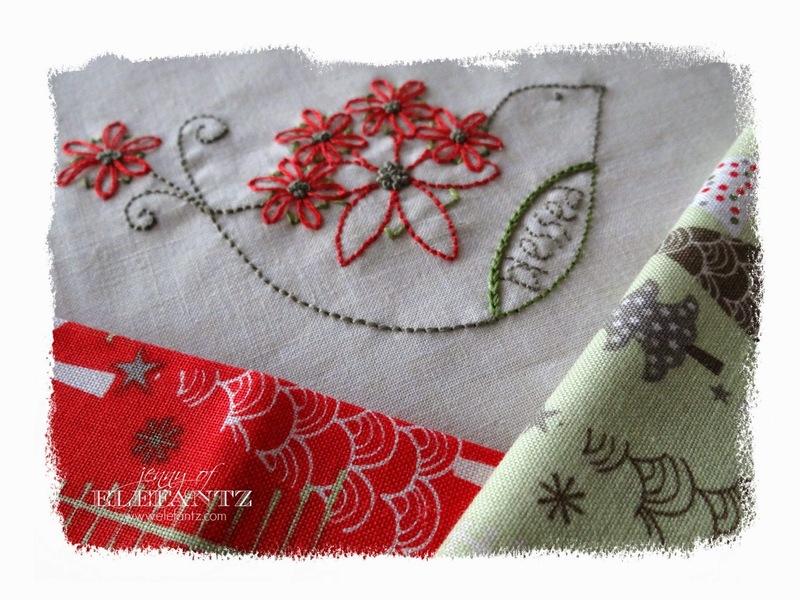 NOTE: You must join before October 17th to participate in the first month's set of six seven stitcheries. 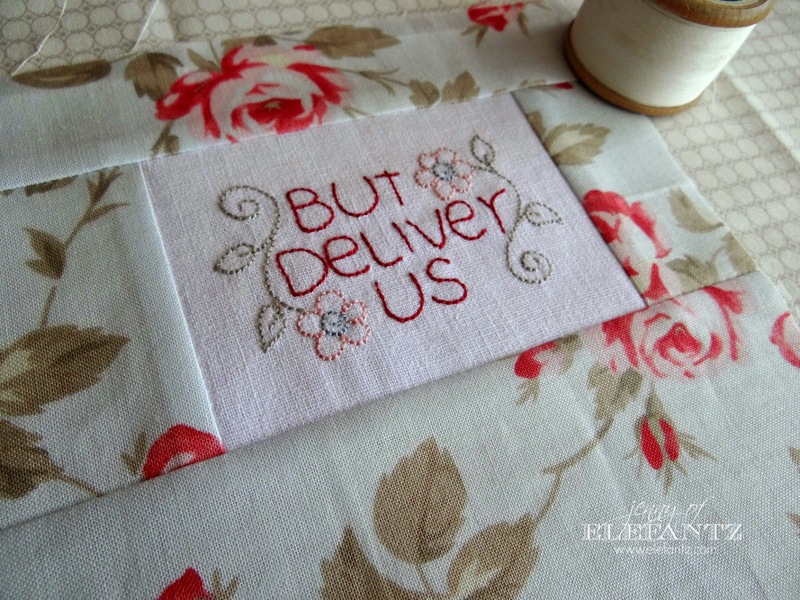 We're on the home straight with my free Lord's Prayer Quilt project! Only 7 more blocks to complete this beautiful quilt. My completed Lord's Prayer quilt is on it's way back from my friend Dawn who has done her machine quilting charm on it for me! Once the binding is on I'll be able to show you the finished design at last. 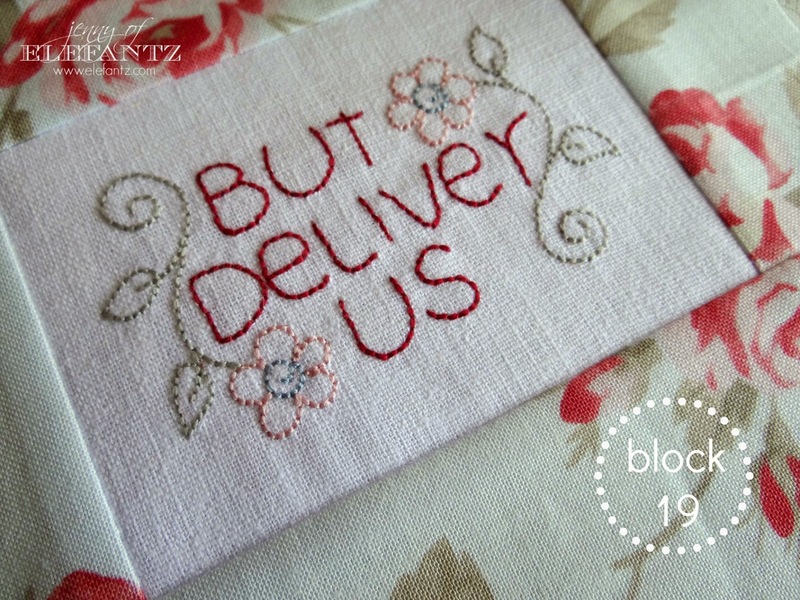 How have you enjoyed this 26 block stitchalong so far? These are all beautiful Jenny - I'm going to have to wait until after next month to sign up tho :( Glad that they will still be offered in your Crafty store afterwards! 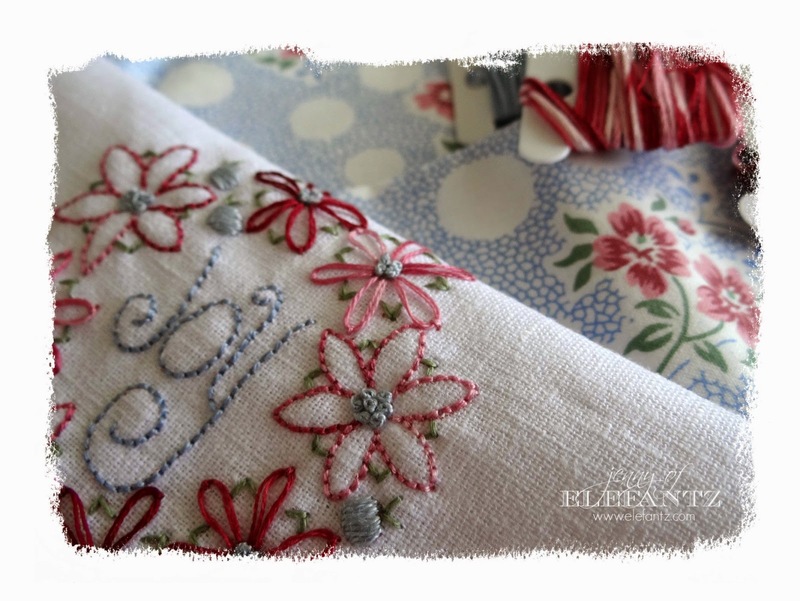 Will there be other chances to sign up for the stitchery club or is it only right now ? I'm just waiting for the day! =) These are wonderful and I'm looking forward to using them here and there on things. I already have one idea for the bird.